It seems some ​Manchester United fans are convinced that club legend Eric Cantona is set to become the Red Devils' new director of football, after the former France international dropped a hint on his Instagram. A new position as the head of football at Old Trafford is being created, as part of an ongoing restructuring process in the wake of Jose Mourinho's departure. 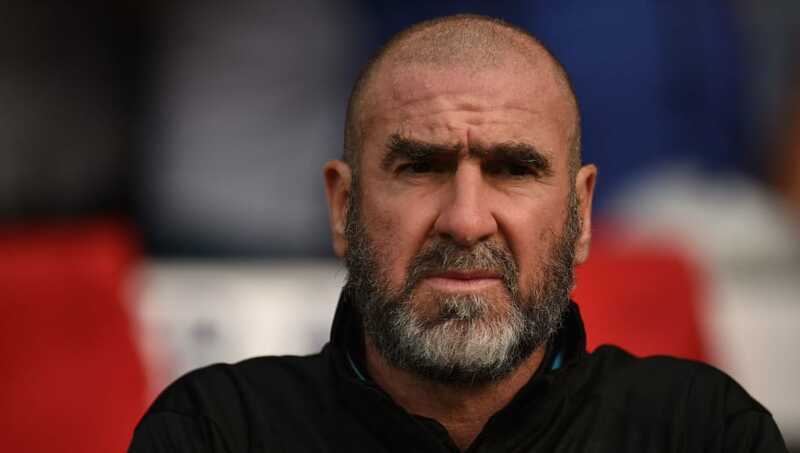 Cantona, who remains a firm favourite at Old Trafford following his playing days between 1992 and 1997, is an unlikely contender to take the job but that hasn't stopped some on social media from putting two and two together. Cantona took to his ​Instagram account on Monday to post a picture, which he captioned 'I can't tell you anything but you will love it! @manchesterunited'. ​​Apparently some fans would like to see Cantona back on the pitch too. ​​Cantona is a cult hero at Old Trafford following his successful spell in Manchester in the 1990s. The Frenchman joined from ​Leeds in 1992 and went on to win four Premier League titles and two FA Cups during his playing career with the ​Red Devils, helping them return to the forefront of English football. His 82 goals he scored in his five seasons in Manchester was enough to earn him the nickname 'The King' from United fans. Since his retirement from football Cantona has experimented in a spell as an actor, as well as trying out a career as a beach football player. However, he soon returned to football as a director of football at the New York Cosmos, where he spent one year at the helm between 2011 and 2012.